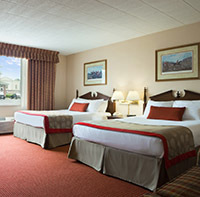 Summer is just around the corner, and the Laurel Highlands Sweepstakes is sure to start your vacation off with a bang. 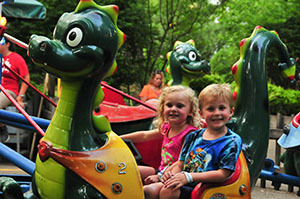 Enter for a chance to Win a Family Getaway for Four to Idlewild & SoakZone and Fort Ligonier. 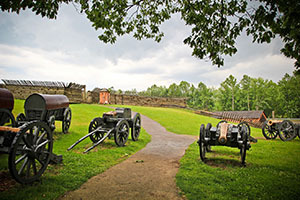 You’ll have the perfect summer setting for tons of fun at Idlewild & SoakZone, named “Best Kids’ Park in the World” by Amusement Today, and Fort Ligonier, a reconstructed and restored French and Indian War fort. 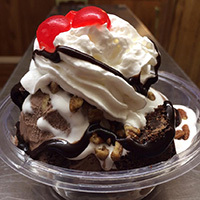 Get out and enjoy the warmer weather with the family, followed by a delicious meal at the Ligonier Tavern, a scrumptious treat at the Ligonier Creamery, and a relaxing stay at the Ramada Ligioner. Click on the link and enter today! The winner will be notified in June. 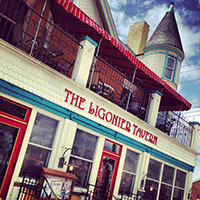 Categories: Family Travel, Pennsylvania | Tags: Family Fun, Family Travel, Free Fort Ligonier Passes, Free Idlewild Tickets, Free SoakZone Tickets, Idlewild, Kids Amusement Park, Laurel Highlands, Laurel Highlands Sweepstakes, Laurel Highlands Travel Contest, Ligonier Tavern, Mid Atlantic Region, Mid Atlantic States, Mid Atlantic Travel, Mid Atlantic Travel Contest, Pennsylvania, Ramada Ligonier, SoakZone, Sweepstakes, Travel Contest, Win Family Getaway, Win Laurel Highlands Getaway | Permalink. Image Courtesy of Sarah Baptist. Urban landscape plein air oil painting. Touring museums is a pleasant way to spend a weekend afternoon, but the experience can often feel sterile. While the artwork is beautiful, I often wonder about the story behind the piece, what the artist found inspiring, or how they created their work. As a result, I look forward to events like the Chester County Studio Tour, Saturday, May 16 and Sunday, May 17, 2015, which allows art enthusiasts and the curious to experience and meet a variety of astonishing artists as they exhibit their work. This unique and intimate opportunity gives the visitor free unlimited access to the artists, and a clearer understanding of their story and creative process. Chester County Studio Tour invites friends, families, art enthusiasts and the curious to experience and meet a variety of astonishing artists as they exhibit their work during this two-day event. This unique and intimate opportunity gives the visitor free unlimited access to the artists, and a clearer understanding of their story and creative process. Image Courtesy of John Pompeo. Water soluble oil. There are 100 artists and 47 studios participating on the 2015 tour. The Chester County Studio Tour website provides several easy to follow maps which will allow you enjoy meandering drives over winding roads and hills until your reach your destination. No tickets are needed for the tour, and the event is free. All you need is an appreciation for art and a spirit of adventure. You are invited to browse the participating artists, and if you fall in love with a work of art, take it home with you. Prices range from art t-shirts for $25 to large, lush paintings for $25,000. The Chester County Studio Tour also provides an unprecedented opportunity to purchase a work of art by your favorite artist for only $75. For 2015, the participating artists have created one unique 6- x 6- inch piece of original art and will be selling it for $75. Chester County Studio Tour wants to make art affordable for everyone and wants to show that art can be everywhere. Image Courtesy of Lele Galer. Welded steel sculpture. Whether this is your first time buying original art or you are a seasoned collector, the tour now has something for everyone. In some instances, a favorite artist might be out of someone’s price range, but now with the County Collectors Club, art is within reach. Some art enthusiasts are out of wall space yet enjoy the thrill of adding new art to their collection. This becomes possible with the County Collectors Club since the pieces are considered small. All the pieces are uniform in size and framed with a simple, elegant black frame. To assure quality and uniqueness, all pieces will have a specially-marked certificate printed on the back commemorating this year’s studio tour. Chester County Studio Tour has asked each artist to create only one commemorative piece of art, so plan your day and get out early to ensure you have art on your walls by Monday. Saturday, May 16: 10:00 a.m. until 6:00 p.m.
Sunday, May 17: 11:00 a.m. until 5:00 p.m. Categories: Art Event, Pennsylvania | Tags: Art Tour, Chester County Studio Tour, Free Art Event, Mid Atlantic Artists, Mid Atlantic Region, Mid Atlantic States, Pennsylvania, Studio Tours PA | Permalink. The weather is great, the sun is out and it’s a spectacular weekend to get out and have some family fun. Take Mom to Bucks County River Country for a Mother’s Day adventure everyone can enjoy. 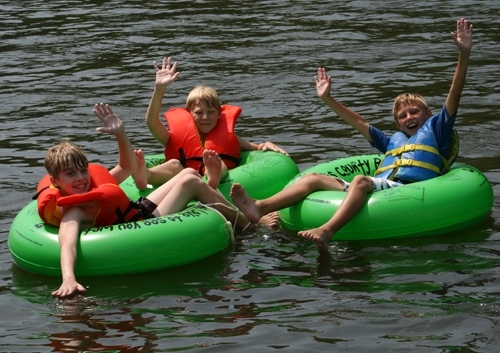 River Country has been the Delaware Valley’s Tubing Capital for 35 years. Tubing the waters of the Delaware offers a chance to relax floating past some of the most beautiful scenery in Pennsylvania and New Jersey. Observe wildlife, and the surrounding cliffs and rock formations. No paddling is required, just relax and let the current pull you along. It is a great way for families, friends and groups to stay cool and enjoy the outdoor sun. The Delaware River has been referred to as the “Eden of the East” with waters that are a refreshing. Life jackets are mandatory for children 12 years old and younger and is mandatory for non-swimmers and anyone with a health condition. Nothing beats the heat better than a tubing adventure. No longer just a black inner-tube, River Country’s standard tubes are custom manufactured with dual chambers (for safety.) They have tubes in four different sizes, to accommodate most people. New in 2014 was their Snuggle Tube, a double tube that people share. Check their coupon page for special discount days. Categories: Adventure Travel, Pennsylvania | Tags: Bucks County River Country, Delaware River, Family Fun, Family Travel, Kids, Mid Atlantic Region, Mid Atlantic States, Mid Atlantic Travel, Mother's Day, Outdoor Adventures, Tubing | Permalink. Brunch is already sold out, but you still have the opportunity to buy timed admission tickets to the popular Mother’s Day event at Longwood Gardens. Take advantage of their extended hours and make reservations to savor a gourmet dinner in 1906, enjoy live music during the early evening, or take in a breathtaking sunset in the 86-acre Meadow Garden. Longwood’s outdoor Gardens will be in spectacular bloom and are expected to feature cascading wisteria, magnolia trees, and thousands of tulips. 1906 features a special prix fixe menu as well as à la carte options. Weather permitting, outdoor dining on the deck may be available. Please feel free to stop by the dining room the day of your visit to check availability. 1906 is no longer accepting reservations. On Saturday, May 9, and Sunday, May 10, 2015; open 9:00 am–8:00 pm. The Café will be open 10:00 am–8:00 pm, no reservations necessary. Categories: Family Travel, Pennsylvania | Tags: Brunch, Concert, Family Travel, Garden Dining, Gloria Galante's Harp Duets, Kennett Symphony of Chester County, Longwood Gardens, Mid Atlantic Gardens, Mid Atlantic Region, Mid Atlantic States, Mid Atlantic Travel, Mother's Day, Opera Delaware, Outdoor Concert, Outdoor Dining | Permalink. Get in on the fishy fun! Free cane pole to the first 25 kids registered, and prizes for the boys and girls who catch the biggest, smallest, and greatest number of fish. They’ll teach the kids how to bait a hook with worms, put their line in the water, and pull those fish in. They’ll also talk about the kinds of fish that swim in this lake, what they like to eat, and the best way to catch them. The first 25 kids who register will get a free cane pole! (They’ll email you.) Everyone else, don’t forget your fishing rod! 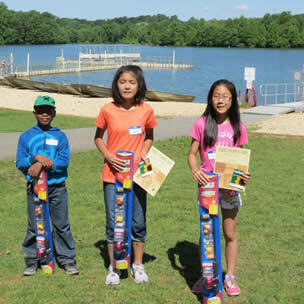 If June 20 doesn’t work for you, try out Kids’ Fishing Day at Lake Needwood on Saturday, June 6! Categories: Children's Travel, Maryland | Tags: Adventure Travel, Black Hill Regional Park, Family Fun, Fishing, Kids' Fishing Day, Maryland, Mid Atlantic Fishing, Mid Atlantic Region, Mid Atlantic States, Mid Atlantic Travel, Montgomery Parks | Permalink. 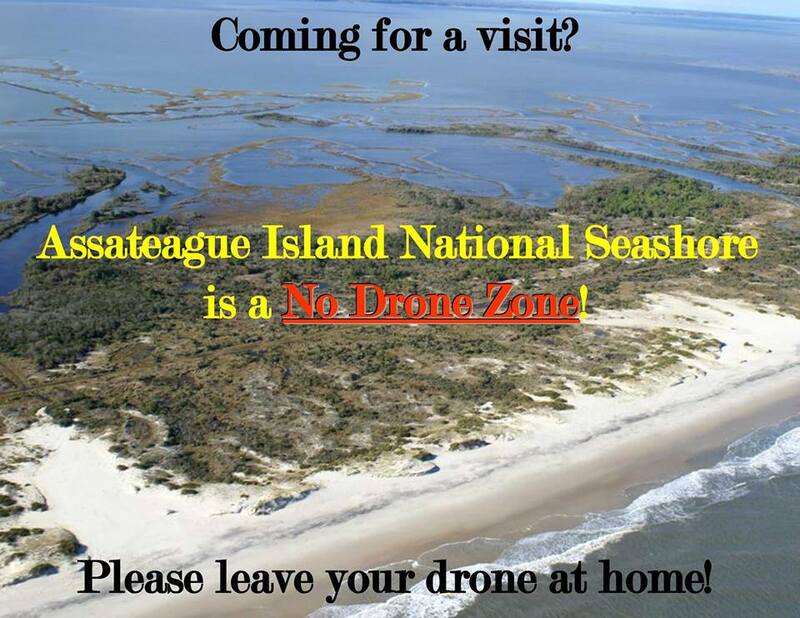 In August 2014, the National Park Service (NPS) enacted policy that prohibits the launching, landing or operating of unmanned aircraft (aka drones) from or on lands and waters administered by the NPS, which includes the boundaries of Assateague Island National Seashore. Please be aware that operation of unmanned aircraft within the boundaries of the national seashore would be in direct violation of this policy, and depending on the circumstances, may be in violation of wildlife protection, audio disturbance, or disorderly conduct regulations. Avoid the likelihood of receiving a fine or court summons, and/or having your drone confiscated. Categories: Maryland, National Parks | Tags: Assateague Island National Seashore, Beaches, Family Travel, Maryland, Mid Atlantic Region, Mid Atlantic States, Mid Atlantic Travel, National Parks, No Drone Zone, No Drones in National Parks, Outdoor Adventures | Permalink. 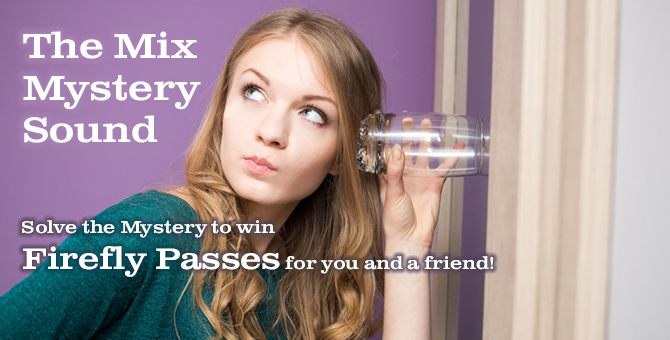 Listen to Mix 92.9 the 90’s to NOW in Delaware for the Mix Mystery Sound now through May 14th, 2015. Be caller number nine when you hear it; guess the sound correctly and win a pair of four day passes to Firefly Music Festival. Guess incorrectly and they’ll still give you a family four pack of tickets to Six Flags. If no one guesses by Thursday, May 14th, a winner will be randomly selected from all who participated and announced at 1: 00 pm on Friday, May 15, 2015. Categories: Concert, Delaware | Tags: Delaware, Dover, Firefly Music Festival, Firefly Ticket Contest, Free Firefly Four Day Passes, Free Firefly Tickets, Free Six Flag Tickets, Free Six Flags Contest, Free Tickets to Firefly, Mid Atlantic, Mid Atlantic Region, Mid Atlantic States, Mid Atlantic Travel, Mid Atlantic Travel Contest, Music Festival, Six Flags, Win Firefly Tickets | Permalink.